Feel the force! Honestly, my kids SCREAMED when I showed them these images of the soon to be STAR WARS themed Millenium Falcon that will be part of the Oceaneer Club on the Disney Dream. 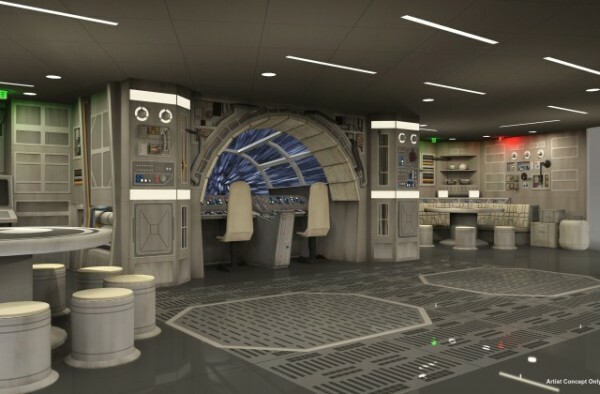 Star Wars fans young and old alike are ecstatic with this news from Disney Cruise Line. It’s hard to believe the Disney Dream could get any more magical having sailed on it myself before, but I guess since the DREAM is almost 5 years old they figured they’d continue to WOW guests with these extra special new upgrades. This upgrade along with a handful of other awesome upgrades will happen when the ship goes into Dry Dock this fall starting October 4th. She’ll be ready to sail like new come October 26th — complete with this Star Wars play zone and other upgrades that include adding a Bibbidi Bobbidi Boutique, Vanellope’s Sweets & Treats and an are exclusively for adults, on Deck 13 forward, Satellite Falls, a circular splash pool with benches and a gently falling rain curtain – which I assume is like the one already on the Disney Fantasy. Who else is ready to set sail October 26th?? ?